According to the Association for Pet Obesity Prevention (APOP), 43% of all dogs and 53% of all cats are classified as overweight. What's worse is that an additional 10% of all dogs and 19% of all cats are considered obese! Therefore, more than half of our dogs and cats are overweight or obese. So, should your pet start an Atkins Diet? Ramsey is a "cheese-aholic". At 6 years old and 156 lbs, this Bull Mastiff listens for his owner to unwrap the cellophane from a cheese slice and then makes a beeline for the refrigerator. Joyce Sternberg, Ramsey's owner, says originally cheese was an incentive to teach Ramsey to shut the back door. As a result, Ramsey had become so heavy he actually tried to avoid walks. Dislike for exercise is a common theme for overweight pets. Irene Snow was chided by her veterinarian for allowing her Malamute mix, Yogi Bear, to balloon up to 127 pounds. An overweight pet is more prone to heart problems, poor skin condition, lameness, and more serious illnesses, like diabetes. A ground-breaking study actually details how pets who free feed live an average of two years less than pets with limited calories. 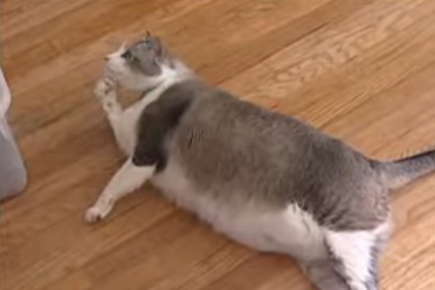 Without realizing it, many owners contribute to pet obesity through good intentions. "Some pets get twice as many meals each day because no one is in charge of feeding," says Dr. Steve Hotchkiss, veterinarian and owner of Hulen Hills Animal Hospital. Hotchkiss challenged Ramsey and Yogi in a "Biggest Pet Loser" contest. Over the course of eight weeks, a newspaper article tracked the pounds that they shed and the trials they endured. Ramsey's beloved cheese was the first thing to go and Yogi's new treats consisted of green beans instead of ice cream. Both pets were also encouraged to increase their activity levels. Changes were apparent within just a few weeks and when the results were announced, both dogs showed significant weight loss. Yogi Bear had lost more than 14 lbs, making him the Biggest Pet Loser for the contest. Keeping it off has been more of a challenge though. Ramsey, on the other hand, continued his progress and eventually lost a total of 32 lbs! He is now at a trim 124 lbs. and Sternberg says he has the energy of a puppy and is excited about walks. APOP says that pet owners should open a dialogue with their veterinarian about their pet's weight. The very first step should be a good thorough physical examination and associated blood work. This will help rule out diseases that cause weight gain, like hypothyroidism in dogs. Next, devise a diet plan with your veterinarian for safely reducing the number of calories being fed while also increasing the calories being burned through activity. Finally, make exercise a priority. Two or more brisk walks each day for our pudgy pooches and thirty minutes of playtime with your flabby tabby can help them lose that excess weight. With your love and commitment, your pet can lose that excess poundage which, in turn, could add years to your pet's life. Pets who are fed controlled portions of food live about two years longer than those who have unlimited access to the food bowl. Start your pet's diet with a trip to the veterinarian. A thorough physical exam and blood tests can help rule out diseases that can cause weight gain. Next, throw away the self-feeders and designate one person in the family to feed the pets. Feed a few small meals instead of one large meal. Replace high calorie treats with healthy alternatives like green beans or carrots. Increase your pet's activity level. Two brisk walks daily for your dog can help both of you shed the excess weight. Try to spend about thirty minutes each day playing with your cat. Kitty Teasers and laser pointers can really help them lose pounds. Follow up with your veterinarian and adjust your pet's diet and exercise routine as needed. 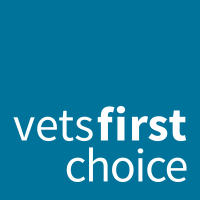 "We LOVE Alice Emberton and will never use another vet again! She is caring, knowledgeable, and excellent in her field. She is patient to explain anything we ever need to better understand. She LOVES our dogs and we are so thankful for her."